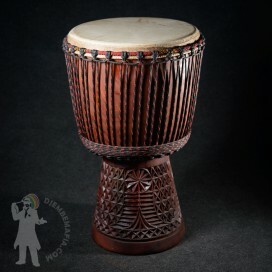 One of the most wonderful djembe shells I´ve ever encountered. 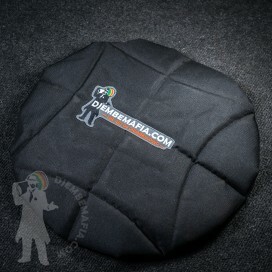 Welcome brand new hitches design with amazing unique look! 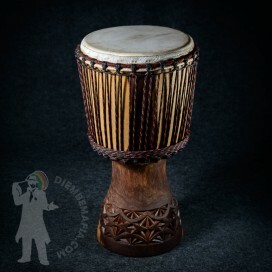 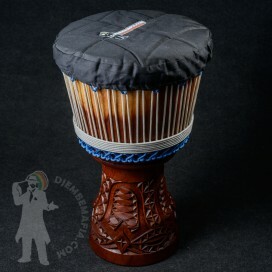 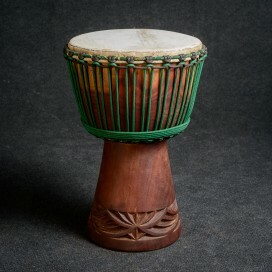 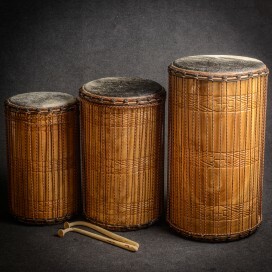 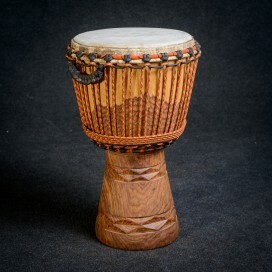 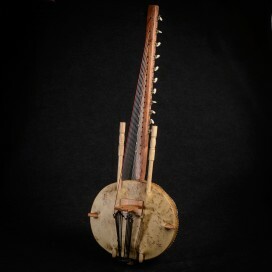 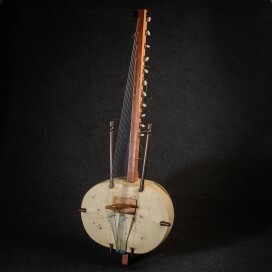 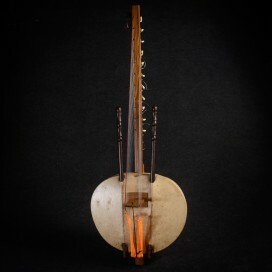 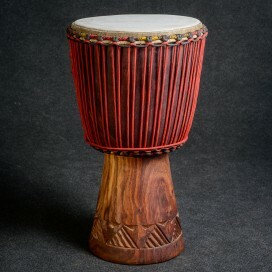 Artistic carving on spcial Burkina style shaped leg and superb djembefola goat skin with unique drawing provide this professional djembe drum with super strong and clear sound. 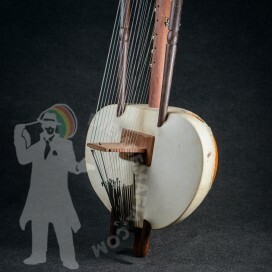 Big tone and slap difference! 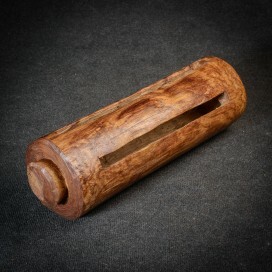 Rubber foot. 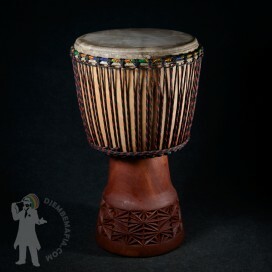 One of a kind djembe!